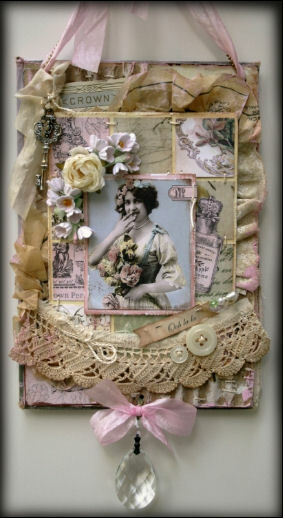 Mix and match your favourite designs to decorate handmade cards, scrapbook pages, mini albums and special keepsakes. Dimensions: 19-inch by 8-inch when open and 9-1/2-inch by 8-inch when folded for easy storage. 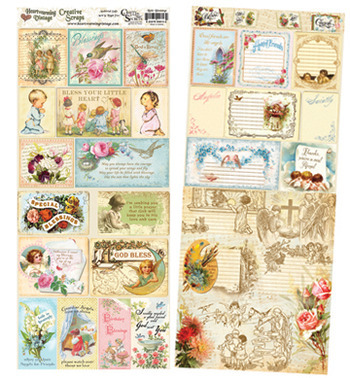 The double-sided "Little Blessings" Creative Scraps have an array of sweet vintage images on the front – plus complementary ephemera and collage style designs on the opposite side. 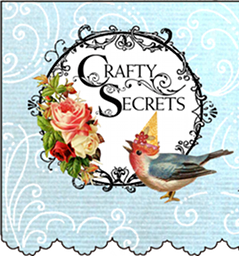 Designed to inspire creativity, you can use them double sided or mix and match your favorite designs to decorate the fronts and insides of handmade cards, gift tags, scrapbook pages, mini albums and special keepsakes. The back side of the sheet also includes 4 tiny open books (approx 1-inch by 1-1/4-inch) with words: ‘Believe’, ‘Bless You’, ‘Love’ and ‘Cherish’. The combination of the 23 meaningful words and sentiments, paired with beautiful angels, children praying, birds, flowers and pretty pastel colors will make it easy to create all sorts of little blessings and keepsakes for those you care about. Dimensions: 19-inch by 8-inch when open and 9-1/2-inch by 8-inch when folded for easy storage. Picture shows both sides of the cardstock. 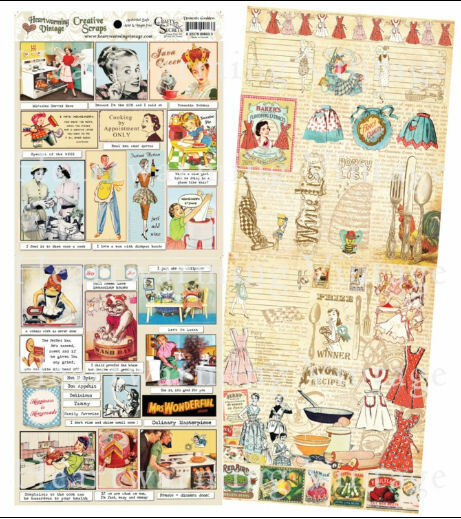 The double-sided "Seasonal Calendar" Creative Scraps are packed with an array of seasonal images plus you get an antique calendar with separate months that will work for Mar 2010 to Dec 2010 or for Jan 2011 to Dec 2011. 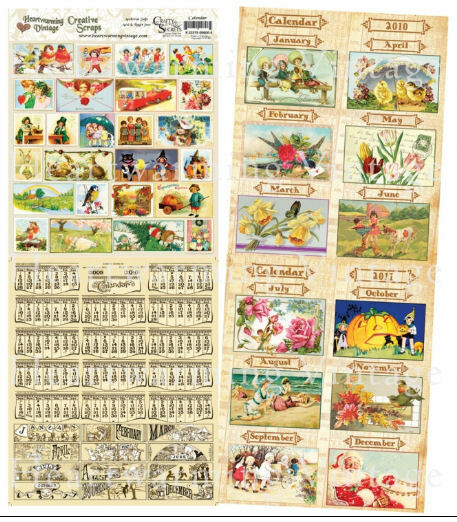 There are 2 mini seasonal images for each month and now the opposite side includes 12 larger seasonal images 2.25 by 3.5 inches with month titles as well. 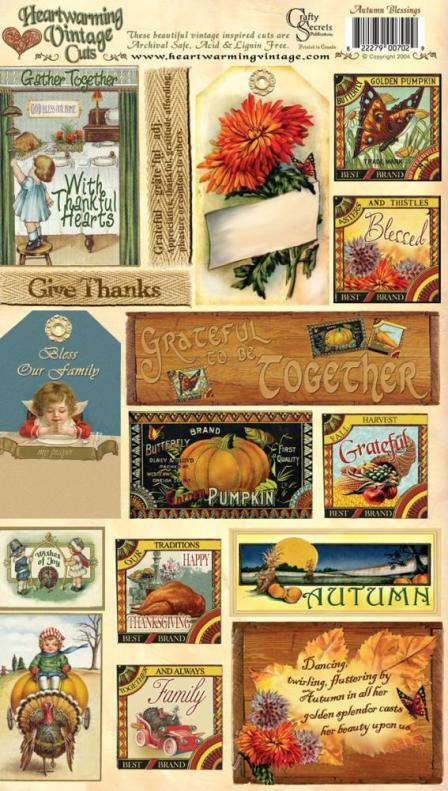 Versatile and easy for creating calendars, monthly birthday cards and seasonal scrapbook pages. 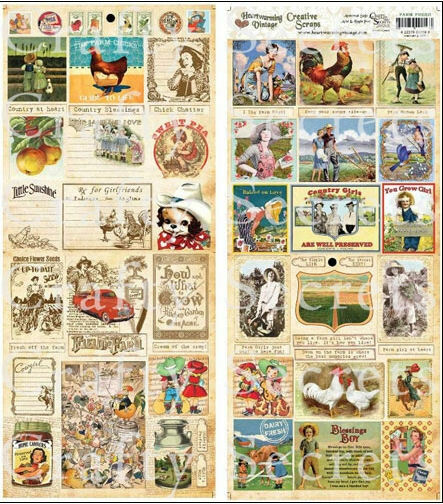 "Farm Fresh" Creative Scraps include a wonderful mix of funny to sentimental images, pretty vistas, dairy and garden ephemera, happy farm wives and rosy-cheeked children to 'well preserved' farm girls, friendly fowl and farm folks, with a couple of cowboys and girls in the mix. There are 17 images on the outside with 17 complimentary images printed on the opposite inside pages. Plus you get 4 miniature seed packs, 2 vintage milk caps, and 2 faux farm stamps, along with a bushel of fun phrases including "I Dig Farm Boys", "Keep your sunny side-up", "The Simple Life", "The Latest Dirt", "Farm Girl at Heart" , "Country Girls are Well Preserved", "You Grow Girl... sweeter every year" are just some of the sayings. 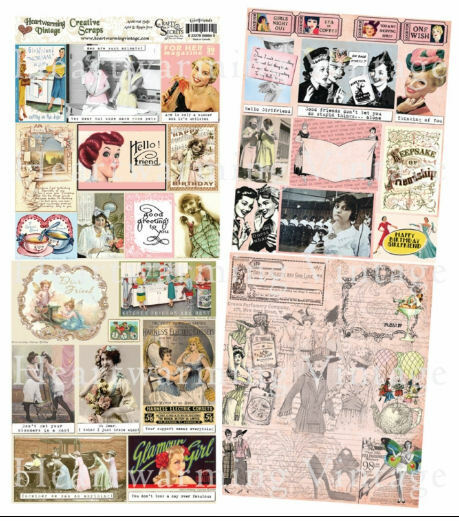 The double-sided "Girlfriend" Creative Scraps makes saying hello or sending a wish to your girlfriend so much fun with the images and greetings. 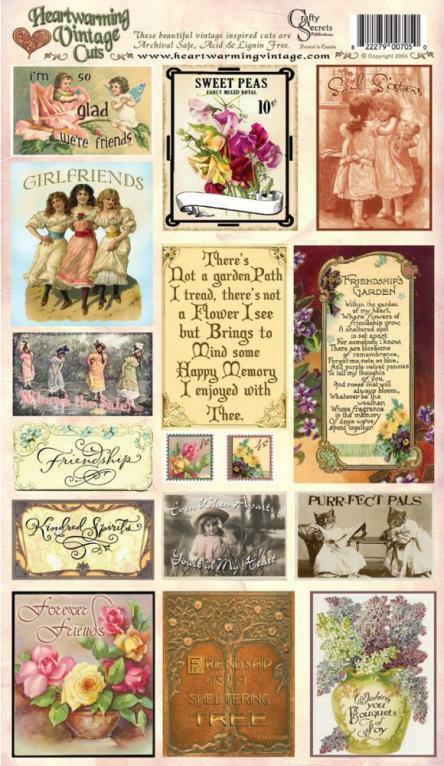 The bright colors and 17 different fun images make it a breeze to create cards, tags, keepsakes and especially a scrapbook page with a girlfriend. You can create all that and more from just one sheet. The 21 images and 22 separate expressions on this card stock sheet will have you chuckling to yourself if not laughing right out loud. 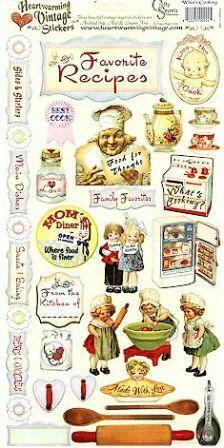 These have a fun retro appeal and the mix and match sayings can be cut out and used with any of the images. 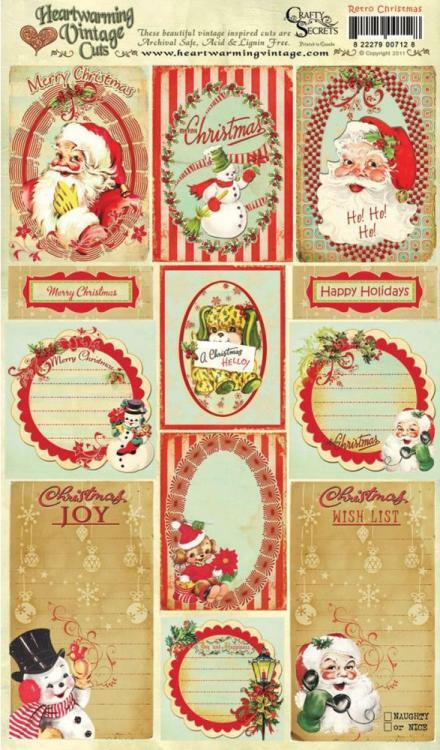 The bright fun images will let you create cards, cookbooks and scrapbook pages you will love sharing and giving to friends and family. 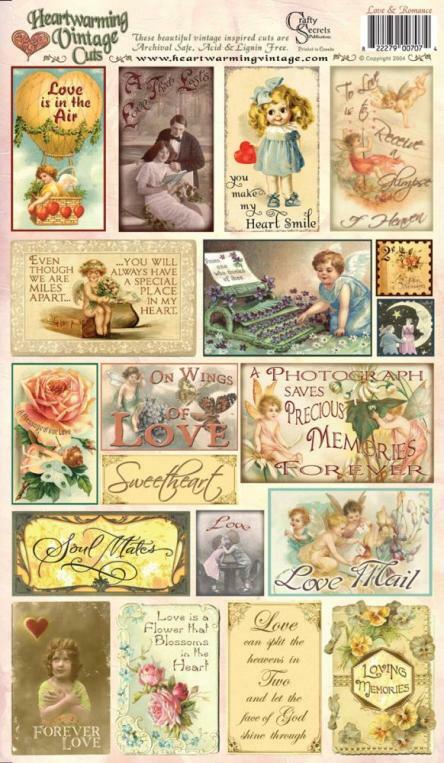 "Love Mail" Creative Scraps are filled with an array of pretty pastel colors of roses, cherubs, birds and lovable vintage images paired with both romantic and general love sentiments. 'Memories of Love' and a couple of romantic poems. 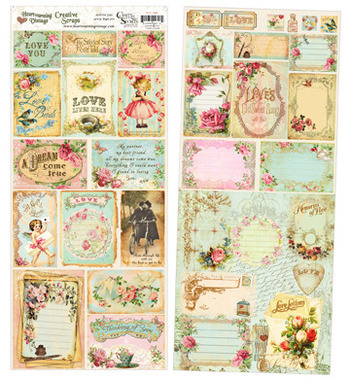 The inside (or backside") also includes 2 'love tickets', 3 faux postage stamps and a mini bottle of LOVE Blossom perfume, plus matching journal card backs and love letter style collage designs. 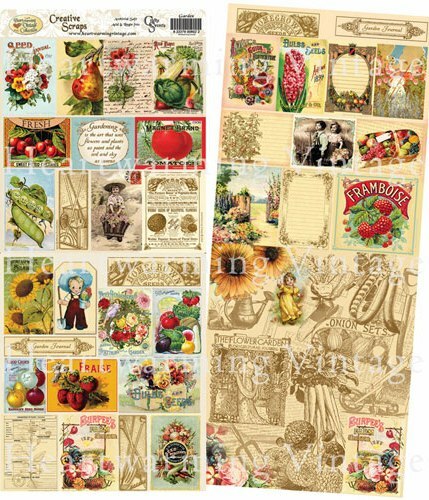 The double-sided "Garden" Creative Scraps with its warm inviting colours, makes you feel like you are walking right into a garden. The interactive images and expressions will work for all paper crafts. Making it easy to create cards, scrapbook pages, journals and more.